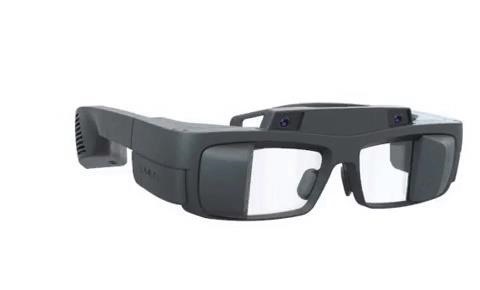 While Lumus produces optical engines for augmented reality headset makers, with DAQRI and Atheer among its clients, the company also has a stable of development kits that act as reference designs for original equipment manufacturers looking to jumpstart their own AR smartglasses products. The DK50 includes the OE50, a waveguide display less than 2mm thick that is capable of 1280 x 720 display resolution at 60fps and a 40-degree field of view. Running on Android Marshmallow 6.0, the device packs a Snapdragon 820 and a pair of synced 4-megapixel cameras. According to a company spokesperson, the DK50 is very similar to its successor, the DK51, with only minor design differences between the two. "At Lumus, our mission is to deliver the world's best transparent displays for smart eyewear and head-mounted displays that transform the way people interact with reality," said Eli Glikman, chief product officer at Lumus, in a statement. "In partnering with Tobii, we can offer device manufacturers an extremely compelling AR display combination." When Lumus unveiled the DK50 at CES 2016, the company attached SensoMotoric Instruments (SMI) for its eye tracking technology. Since then, Apple has acquired SMI, which prompted Lumus to seek out another provider. Innovative methods for user input will be as integral to augmented reality headsets and smartglasses as the mouse was for the PC and the touchscreen was for smartphones. Eye tracking is one method that hardware makers will increasingly look to integrate alongside hand tracking in the near term, as more advanced technologies like brain control interfaces mature in the background. "This collaboration provides additional evidence for the strong demand we are experiencing to integrate eye tracking technology into both AR and VR devices," said Oscar Werner, the business unit president at Tobii. "For the last two years, we have been focusing on partnerships and projects to integrate eye tracking into VR headsets to bring about better VR devices and better user experiences. In parallel, we see a growing interest in AR, where the benefits of eye tracking are even stronger."